Serving delicious meals in Ottawa and Gatineau. Add your address to see how we can serve you. Orders must be submitted by Friday at midnight if you wish to begin receiving meals that following week. It is presumed that you are continuing for the following week unless we receive some sort of communication to stop delivery. All payments can be made via credit card or Interac e-transfer. There are no cancellation fees associated. If you are a subscribed customer and wish to stop for the following week, we require a notice via email before Friday at midnight or through your dashboard by pausing your account. You may also put their accounts on hold if they are traveling. We currently deliver to the Ottawa and Gatineau areas. 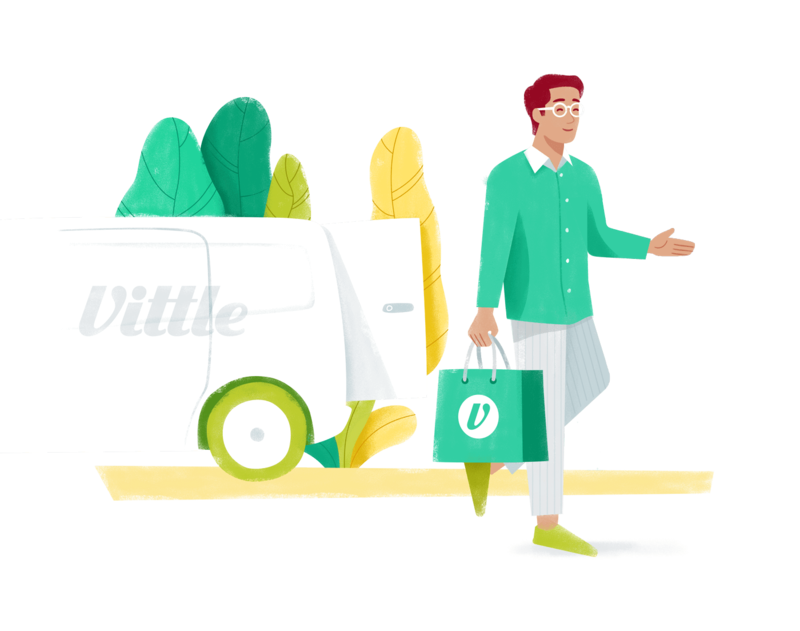 Enter your postal code when signing up to check for eligible delivery zones or email us directly at hello@vittle.ca to see if you qualify for our free delivery. We deliver to any home or office in the region. If all options are not possible the food will be delivered the following day with the next day’s meals. Arrange for a neighbour to receive the meals. We can leave it outside your door steps. If that is not possible the other option is to arrange pick up at the kitchen. Meals are delivered in recyclable and microwave-safe containers in an insulated cooler bag with ice pack. You can purchase a cooler bag with ice packs. A one-time $20 non-refundable fee). This is only for customers who will not be home to receive meals. Customers will have their cooler bags with ice packs outside. When the driver arrives, they will put your meals inside the cooler bag with ice packs to keep the food between 1-5 degrees Celsius. The cooler bag will be left in front of your door. Customers who opt out of purchasing a cooler bag will receive their meals in a plastic bag with their delivery information on it. If there are no cooler bags outside and we cannot get in contact with the member or anyone, the meals will be left outside your door steps. For omnivores who love to taste new dishes. Choose between vegetarian or vegan options. Our chefs choose your meals, every time. Select the meals you would like for each day of the week by navigating through the days and selecting a meal. You can customize your meals by portion and quantity once selected. You will be able to advise us of your allergies and any dietary preferences after checkout. A signature is not required to receive your delivery. Billing address is the same as delivery address.